Do you know how hard that is to admit from a perfectionist/high-responsibility/stimulator/provider/(somewhat) controlling individual like myself? At first, it was like the grinding and gnashing of teeth. Except it wasn’t. Admitting felt good. It felt safe, it felt like a deep breath, it felt like progress. Funny how that is huh? It felt good to give up the ruse that I had everything together and just like that (snap my fingers for effect) it would be done, but sadly, my magic wand is still on back-order. Hate it when that happens. I’m tired. I feel like I could be scraping the bottom of the barrel at times. I had this image in my mind of what sort of employee/friend/daughter/host/blogger/writer/person I wanted to be and I am falling short. I am not scheduling enough “down time” into my life just for me to be me. I haven’t picked up a book for pleasure in several days now- definitely not my norm. I am not getting the amount of sleep each night I want or need. I don’t shower everyday. I haven’t had a cleaned-out email inbox in over a week (Eeek! ); something I vowed would never happen when I started my career. I haven’t been consistent in my work-outs, in fact, it was almost a week ago the last time I said “hello” to the treadmill. I have missed several mornings in a row where I have set my alarm a few minutes later than usual trading a few extra minutes of sleep for time spent with the Lord. How cavalier of me to think, “well, I’ll just do that later.” I haven’t poured myself into my blog posts the way I wanted, and that frustrates me. I don’t spend one-on-one time with my sweet girlfriends as often as I would like, and even though we live miles apart, I want them to know they are a priority. Haven’t been so good at that lately. Sometimes I blow up at Mom and Dad simply because they are in proximity to me when the blow-up occurs. They have done nothing, but they take the brunt of it in stride. So unfair a daughter am I. I have practiced the art of procrastination, another “not like me” trait, and I find myself pushing harder to catch back up. I haven’t been meal and snack planning lately resulting in falling off the Weight Watchers track and just grabbing what I can when I can. Not smart. See. When I sit back and take inventory of the day-to-day, I am missing the mark and falling so far short it is almost put your head in your hands embarrassing. That more perfect Jamie image in my mind seems a far cry from where I find myself now. That image of the have-it-all-together Jamie doesn’t exist. She is a fantasy, and one of my own making I’ll admit. Instead, I need to view myself as God sees me. Ephesians 2:10 reminds me that I am His workmanship, His masterpiece. I am uniquely and specially created to do what He has set before me to do. No one else can do the things exactly as I can do them. Just think of that… no one else if you. Make HIM a priority, each day, every day, top of the day. Read His word and then pray while you put on your make up or while you are in the shower. Praise Him for blessings, ask Him to make you adequate and sanctify your day before Him. Encourage someone at work today. Let them know you care about them and appreciate them for who they are. Text a friend. Tell them you miss them, you love them, and you can’t wait to see then when your schedules allow. Busyness can only hinder for so long. Smile today. Show love and warmth through your actions to others around you, even if you don’t know them. Be light! Come home and share a meal with your family or friends. Don’t worry about the amount of laundry piling up or recount the pitfalls of your day to them, but instead, talk, laugh, tell jokes, share stories, share time. It is one of the most important “to-dos” on your list. Take care of your temple. Put good in, feel good, and be good to it. Be more intentional about eating habits and exercise daily, even if it’s a short period of time. Maybe it’s a few Pilates stretches in your bedroom floor each night, jogging around the house with your dog, or squatting and lunging rather than walking around the house while taking care of your tasks. Something is always better than nothing. That best version may not always be perfectly coiffed, have an emptied email inbox, or even work out 5 days a week, but remember to see you as He sees you and ask Him to remove those feelings of inadequacy that have proved to be a hindrance in being the person He created and designed for you to be. Okay, so I know that this is not life-altering, earth-shattering, or world-changing information, but I always did have a flair for the dramatic. So, here we go to Part 2! Leather because it can be carried all year; it knows no season. Color because it gives your basic look the punch it needs. Even though I have a love affair with black, color gives your look a good punch-up. 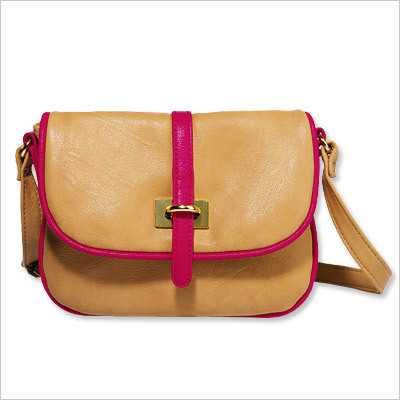 Hobo bags, shoulder bags, and clutches are great! Personally, I love turquoise, red, green or gray as they match most colors I find in my closet, but find the colors that work for you! I have black, grey, and khaki trousers I wear all of the time. They are the ultimate wardrobe chameleon and I would be practically naked without them! They go from work, to an office party, to Church, to a date, and beyond. My favorite fit is the “Blanc” fit from White House Black Market, but I have also had some recent success at both Ann Taylor and Banana Republic as well. The skirt that flatters every body type! Not too many articles of clothing can tout that! 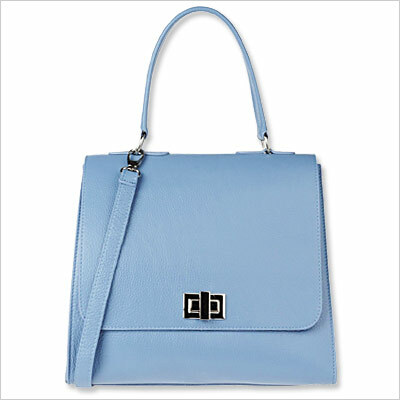 For thin-framed ladies, it gives you an hour-glass allusion. For ladies with more hips and rear, it skims right over problem areas while showing off that narrow waistline. It’s win-win! You want it to hit right at your knee or a little above, not below. That will make you appear shorter and your legs will look shorter and stockier. We must all fight for those precious inches! 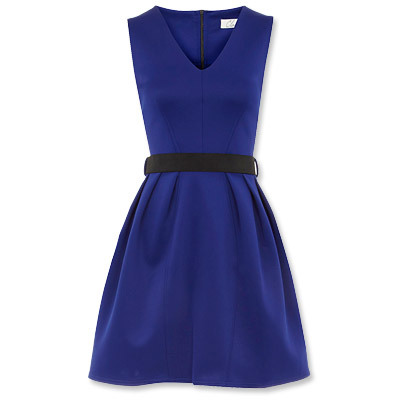 Isn’t this Dorothy Perkins A-line dress in lapis too cute? Love that it is belted to show off that narrow waist and that deep blue lapis will give a long and lean look. Even the neckline will play into the long and lean look. Very monochromatic and elegant. I don’t care who tells you not to wear denim, it is my ultimate comfort clothing! Don’t know what to wear? Slide into some jeans- that’ll do the trick every time! Find which cut works best for you- Skinny, Flare, Boot cut, or Matchstick! Everyone can find their best fit! And this Spring and summer, colored denim is everywhere! Be adventurous… if you dare! Great with jeans, dress pants, or tucked into a skirt. I have 3 in my closet- a classic white button down, a leopard print blouse, and a sea-foam green blouse in silk. They can be different colors, textures, and weights. Mainly, you want them to be fitted and flattering with tails long enough to be tucked in to skirts or trousers. Plus, it’s a great excuse to break out your favorite fashion belts! At the end of the day, nothing beats a crisp white button-up shirt. This is from Mango for $50. Love the collar! Men’s Wear is a trend for this year (and really every year) so fitted blazers and other forms of outerwear abound! I promise there is one out there waiting on you! They come in cotton, denim, tweed, velvet, and a variety of colors too. You want one that cinches in the back and nips in at the waist so you don’t look overly boxy. Great with jeans, trousers, and skirts alike! For examples, I turn to one of my fashion icons Reese Witherspoon. She knows how to rock the jackets! She is simple, not flashy or showy, elegant, and always fresh. And look at her… even pregnant she wears a gorgeous, tailored black suit and hot pink pumps! Blondes do have more fun! Ladies, there are no hard or fast rules in styling. These are simple, easy, fast accessorizing tips and tricks that work for me and can work for anyone… even on a budget. I just love the ease of it. Almost everything in my closet matches everything else in my closet and it makes it so simple when styling. Be true to your personal style and embrace your natural God-given beauty. The bottom line is to look like you… only better!